I am constantly looking up on herbs and spices and their uses, finding ways to make use of them instead of letting them sit in my pantry or fridge. I found something that I didn’t think of. That was, lose weight with herbs. Would you agree with me that this is the BEST way to lose weight naturally? At the end of this article, let me know if you agree with this being the best way and how you feel about this. Best herbs and spices for weight loss. The first 4 are the common cooking herbs and spices that I usually have at home. I bet you do too. I rarely use cumin but I can’t disregard this as it is one of the best spice for weight loss. Carvacrol, an active component in oregano helps dissolve fat. Additionally, it helps fight depression and stress, two common causes of overeating and weight gain. Oil of oregano is another substance obtained from the leaves. 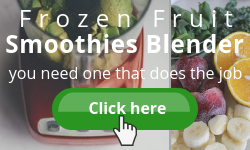 It is purported to help with digestive health and increase metabolic rate which leads to weight loss. A simple oregano tea can be made with 3 teaspoons of oregano leaves. Steep them in 1 cup of hot water for 10 minutes. Strain and drink. This is a good herb for weight loss when consuming its infusion/tea. Rosemary tea improves gastric and intestinal metabolism. This helps digestion which is essential for weight loss. Also, as an excellent detoxifier, eliminating harmful substances from the body and accelerate metabolism. 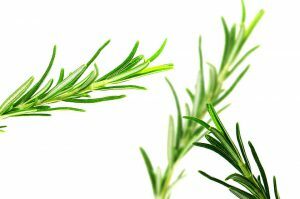 A cup of rosemary tea can be made with 2” sprig of fresh rosemary, steep in hot water for 10 minutes. Add honey to taste and drink. Drink before meals, as it gives a feeling of fullness and prevents rapid absorption of fats in the body. Also, burns existing fat layer and prevent new layers to form. This herb has diuretic properties, which helps to detoxify the body. It has the essential oil that stimulates the renal system, helping to eliminate fluids in the body. Moreover, some of its bio-active compounds improve digestion, stimulating intestinal transit, increasing its cleansing and detoxifying process. Thus, helps shrink the abdomen and have a flat stomach. Thyme tea can be made with either fresh or dried herb. Put 2 tablespoons of fresh or 1 tablespoon of dried thyme in 2 cups hot water. Steep for 10 minutes. Strain. Add a few drops of lemon and/or honey to taste and drink. Slows down the division of fat cells in our body making it harder to gain weight. Capable of turning ‘bad’ white fat cells into ‘good’ energy-burning brown fat cells. Speed up fat metabolism and thus, burn more calories and shed more pounds. Try adding turmeric to lean meat. It gives the dish an appealing colour and delightful flavour. Try an earthy turmeric tea that helps to reduce stress too. Phytosterols, found in cumin helps lower cholesterol and reduce blood sugar. Thus, make weight loss easier and faster. 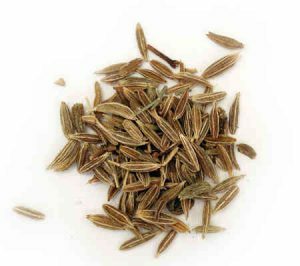 Cumin is a rich source of dietary fibre, thus reduces cravings. Cumin is rich in iron, which is essential for the body’s metabolic function. The spiciness of cumin increases body heat, results in fat burning. Add a pinch of cumin into your scrambled eggs before cooking. Mix 1 teaspoon of cumin powder with 5 grams of yoghurt. A cup of cumin tea. Boil 1 teaspoon cumin seeds in 1 glass water for 5 minutes. Strain, add honey and drink. Another way to lose weight naturally and FAST is using Pure Hemp CBD Weight Loss Oral Spray. CBD oil is completely natural as it is derived from the hemp plant. You will obtain the benefits with no harm to your body and without getting “high” or hallucinations. Click here to find out more about CBD. This product helps to increase metabolism and control the appetite. Besides CBD, it also contains Hydroxcitric Acid (HCA), a natural substance and an active ingredient in Garcinia Cambogia extract that helps weight loss. Click here to read more about why CBD Oil is good for weight loss. Using these common cooking herbs and spices are the best way to lose weight naturally. We know that adding these to the dishes increase the flavour. On the other hand, it decreases the need to add calorie and sodium-containing ingredients that are fat, sugar and salt. So, would you agree with this method of losing weight? Tell me how you feel about it in the comments section below. 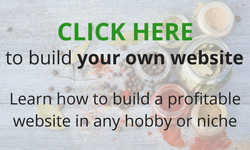 I hope this article gives you another healthy way to utilise your herbs and spices – shedding a few pounds. Go on, head to your spice rack or herb garden now. Or maybe there is some fresh rosemary still in your fridge? Check it out! If none, stock up your herbs and spices now. 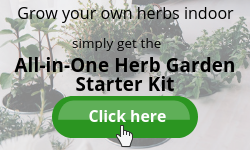 If you find this blog post – How to Lose Weight with Herbs interesting, please share it with anyone that you think might find it useful. Thank you and have a good day! 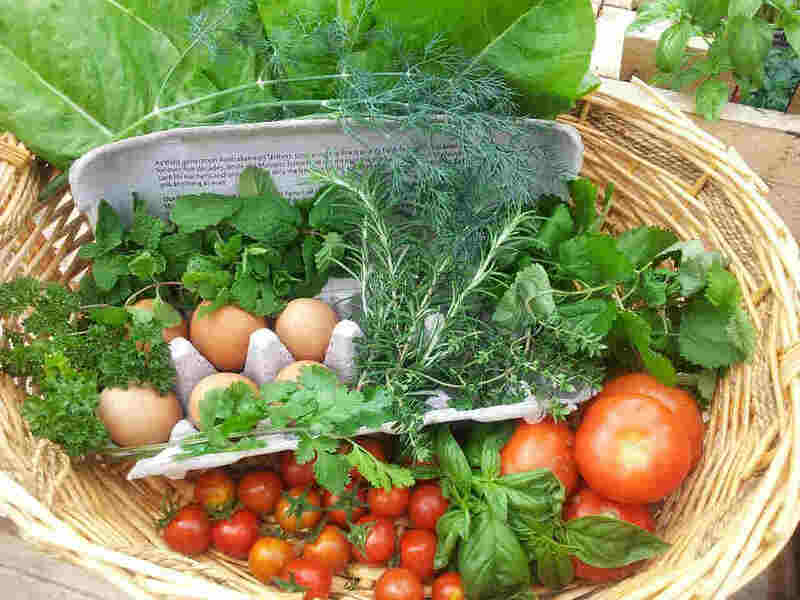 I think that herbs are great for helping to maintain good health and weight. There’s just no reason not to add these to every meal that you make. I also think that a lot of spices can help speed up your metabolism as well. I drink green tea every morning for its thermogenic properties so that I can burn more calories throughout the day. I am glad you feel the same Anthony. Yes, there are many other spices that can speed up metabolism. You just gave me another task – to review all spices that do this. Usually I have my green tea after a heavy meal. But then, anytime is a good time to have a good cuppa. It is quite surprising what herb and spices can do for the quality of food we eat and for our health. It ‘s nice to get a break down as you have provided for the benefits and usage of the different herbs and spices you have listed and explained so well. Yes indeed. Waste not, all the amazing herbs and spices we have in store. It feels great to share what I’ve learned with all of you, especially this Christmas season. I don’t know before,that turmeric can lose weight as you said, hehe. But after read this article then now i know how to lose weight with turmeric. 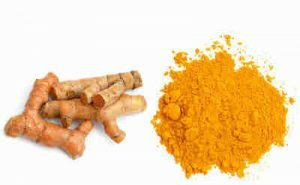 This is interesting one because here is in my country turmeric very easy to find..Thanks ,this article is useful for me, good job :). I am glad this is able to help you and good to know that you can easily get turmeric. It is indeed a wonderful spice. I do use it a lot in cooking. This is a good post because when you think of herbs you think of going natural, and when you think natural you think of no side effects and that is a good thing. Many of my article that I have written on my website talks about herbs and there benefits or their healing wonders. These really are nature’s wonders because you can even use them to loose weight, it is so amazing the many ways you can use herbs. Glad that we have the same passion for these amazing herbs. 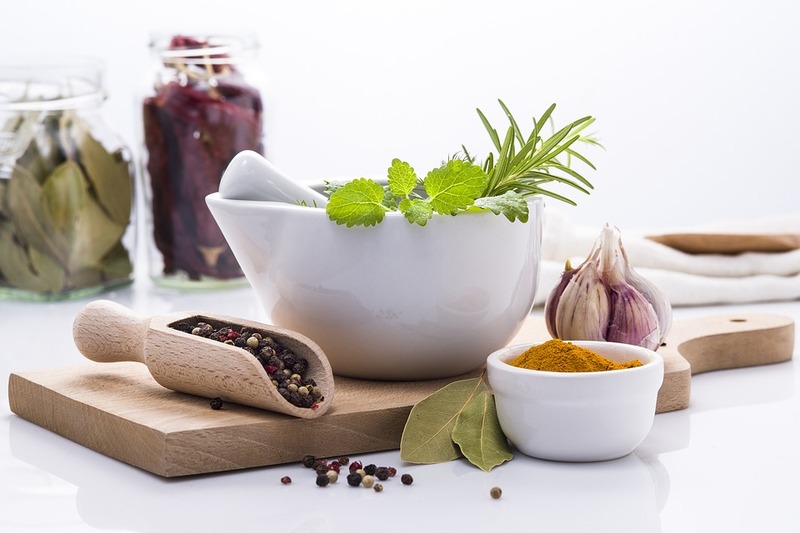 The 5 types of herbs and spices listed in this article are common cooking ingredients. We should have consumed them in one way or another. However, to be on the safe side, try it out at a smaller portion and if you are not comfortable after consuming it, then discontinue. 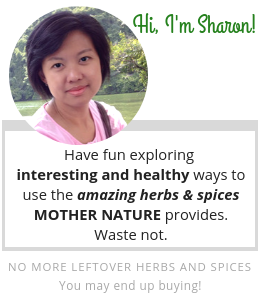 I know the benefits of using herbs and how it flavors your food. I didn’t realize that these spices and herbs can help reduce weight. I’ve used Oregano and cumin in my meals. I think I’m going to consider using the others as well. And use them to drink as a tea. This is useful information. I’m bookmarking this site to refer back on. Thanks for the visit. Am always happy to share. Do try the turmeric, one of my favourite. I used it mostly to season and cook chicken and fish dish. It’s delicious. This is a great and informative post! I really liked how you explained the properties of each herb in detail. Turmeric is one of my favorite herbs it can help to to fight nasty a cold or flue. I use turmeric a lot when i cook myself some golden milk. It’s amazing how we in general underestimate all the various herbs and spices, and their healthy benefits. 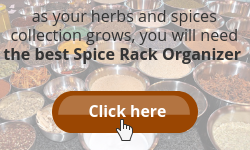 Prior to starting this site, all I knew about herbs and spices were as flavour enhancers. Now, I am discovering more and more uses for them. Also, their health benefits. I will share them here as I go along. Do continue to visit. I have never thought about using herbs for losing weight. I know some herbs and spices do have hidden talents besides flavoring food. Tumeric, for instance, is great for pain. I found a recipe for making a lovely Tumeric drink that to my amazement helped my painful bursitis. I have always used portion control to keep my weight down but will try using herbs and see how I go. Thanks for dropping in. I love turmeric with chicken and fish but can’t get myself to drink a turmeric drink. Perhaps I should try again. Portion control is good to control weight. Coupled with herbs will be healthier. Take care & Good day! Go green girl, exactly, natural ways to lose weight is more better and nutritious than today’s medicines. I really agreed with the effectiveness of the herbs you mention. Right now I’m using turmeric with lemon and ginger blend together for a morning tea. The cumin and rosemary for evening tea, and also add to salads and all my cookings. I never used oregano, but I will give it a try. I’ll put a big ” yes ” to this content of yours. Thanks for dropping by TuYat. Turmeric is one of my favourite spice, always available in my pantry. Do try oregano and tell me how you feel about it by coming back here. This such an informative and interesting website. Being a user of a lot of different spices, I am always interested in the benefits that these spices bring to the plate!! However, since I use a variety of dried and fresh herbs-which give me the most bang for my buck as far effectiveness towards myself and my health? I prefer to use fresh herbs, but sometimes they are not always available where I live, and thus end up suing dried. Thanks for dropping by Brad. Agree with you that due to availability, we end up using dried herbs. Oregano, thyme and rosemary are the ones that I usually use in dried form. These are hard herbs and can be kept better than dried soft herbs like parsley, basil and mint which I must insist on using fresh. This is so important to promote natural weight loss. My wife drinks green tea and turmeric every day and tells me how good it is for us. I will join her tomorrow. Do you have some good recipes for using these spices to help lose weight? I don’t usually follow the recipes. But I often use turmeric to season the fish or chicken for panfry or grill. Also, add a pinch to the Mediterranean rice which my kids love to eat. Another of their favourite is the Chicken Pot Pie. Especially my daughter, she loves the aroma of the rosemary herb. Let me know how you find the turmeric green tea, will you? You are correct, Fred. There are many health benefits of herbs and spices. Not only for weight loss, they help reduce stress and bloated stomach too. Besides, most of the herbs have antibacterial, anti-inflammatory and antioxidant properties. Therefore, it is good to incorporate them into our daily diet. Hello Sharon your article is great, I knew about some of these spices ,but did not know about some of these. Our Mother still tells us that cinnamon, garlic and oat meal also help promote a healthy lifestyle. She raised me and 8 other siblings and we turned out ok. Thanks again Sharon. Thank you, Xavier. There you go, mother knows best. I will be honest here and say that I never considered herbs as a product to help reduce weight. I think (I am sure others do to) that they consider them mostly to get the taste they want. I would have never thought that they had benefits such as lowering cholesterol and increasing body metabolism. I never thought so too. Only found out while I was searching for ways to use my herbs and spices. Isn’t it great to have these ingredients readily available in our pantry? Happy to share this information. Hi Sharon, I had no idea of this benefit. I’m not a big fan of cumin or tumeric – but I will certainly try to find ways to incorporate them. 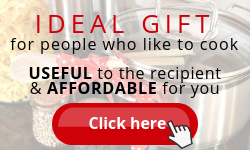 Do you have any recipes that you recommend? I noticed with the first couple herb suggestions that you shared a tea recipe – are the weight loss benefits also seen when used in cooking dishes? Or is the tea the best method. Honestly, I am not a fan of cumin too. But I love turmeric. There isn’t any particular recipe that I follow. Usually using turmeric to season the fish or chicken instead of salt. Also, I would add a pinch to cook butter rice. The herbs not only work in tea for weight loss. You may also incorporate them into your cooking. I love Indian cuisine and also because it uses many herbs and spices that are beneficial to our health. If you wanna try my personal favourite – Hyderabadi Chicken Biryani. But I have to say, it is a lot of work but loved it. Let me know how you feel. Have a great day, Tara. Hello Sharon, I so do love reading your blogs. And this site of your is just lovely. 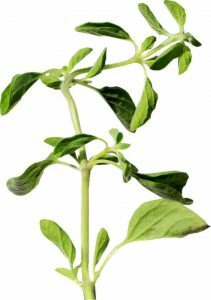 I have know about oil of oregano as its use for boosting autoimmunity health and i have also used oregano as a pick me up tea during the day. But I did not know about it as weight loss. And i love cumin but also thought it was just digestive not realizing also for weight loss. So I am off to go drink a cup of tea and going to mix it up.. cumin, rosemary and oregano.. wanna join me? Terrific article. So like being here. I learn something new each time. Thanks for coming back, Ariel. I believe you will agree with me that herbs and spices are amazing. They have so much to offer. Just watching the herbs grow is already therapeutic. Of course, I want to join you!